· Household Moving: We offer everything you need for moving households of all sizes while ensuring your valuables and your family are treated with courtesy and respect. · Commercial Relocation: From careful moving of expensive equipment, office furniture, employee relocation service and more, your business move is handled efficiently and affordably. · Specialized Moving: Keep your fragile, high-value, and heavy items safe from damage and loss when you choose our expert packing and custom crating services. · Storage: We provide flexible storage options for any time-frame so you can rest easy knowing that your belongings are secure for as long as you need. What Makes Fallon Moving & Storage Different? 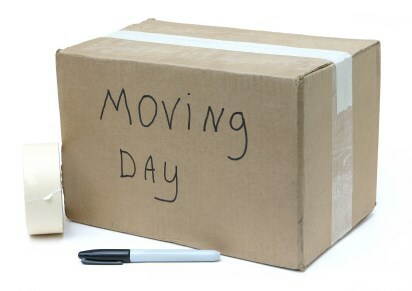 Moving is one of those things most of us hope to never do again because it’s more than just a relocation of belongings; it’s a life change that should only be placed in the hands of trusted professionals. Many moving companies offer full-service solutions, so what makes Fallon Moving & Storage stand out from the rest? Simply put, it’s our dedication to providing a luxury moving experience that’s simple and affordable. · Door-to-door service done right! A Stress-Free Move is Possible! Call to Learn How! A lot of work goes into moving, but when you go with Fallon Moving & Storage, all you have to do is sit back and relax while we take care of the rest! To learn more about what makes us the preferred choice among Connecticut moving companies, give us a call to speak with a friendly moving specialist!